When your vision changes from crystal clarity to a fuzzy blur, you may feel annoyed, concerned, endangered or just plain scared. But don't fret, because in most cases the right eye care can help you regain (or even improve on) your former visual acuity. Here at Family Vision Center, we're experts on what causes blurry vision and what can be done to correct it. 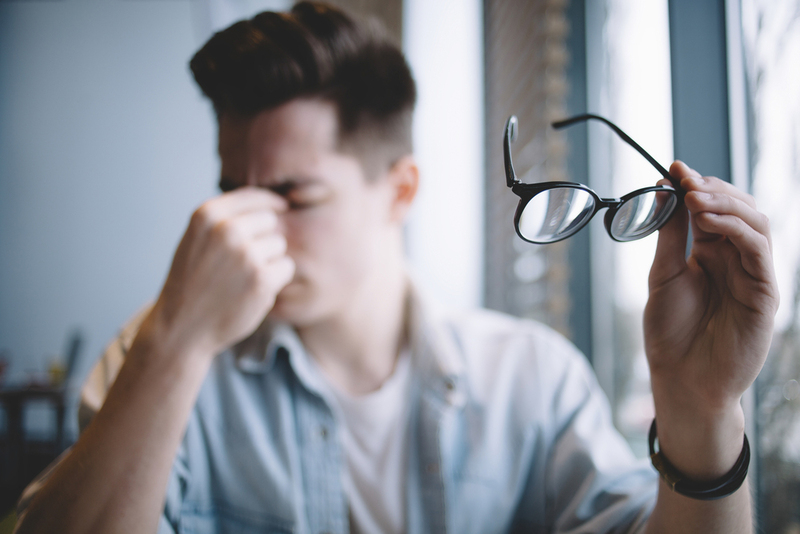 Refractive errors - Refractive errors such as hyperopia, myopia, and astigmatism cause vision to blur, either at a specific distance or along areas of distortion in the corneal contours. In middle age, most people also develop a lens issue called presbyopia that makes near objects appear blurry. Dry eye - When your eyes don't get enough hydration and lubrication from tears, a condition called eye results. Dry eye not only causes redness and irritation; it can also make your vision blurry. Computer vision - Computer vision may include dry eye as well as digital eye strain. The constant focus on near objects can tire the focusing muscles, causing blurriness. Hormonal imbalances - Pregnancy and other hormonal shifts can sometimes cause blurry or even double vision. Contact lens issues - If you're wearing your contacts longer than you're supposed to, they may be collecting debris that blurs your vision. LASIK recovery - If you have LASIK surgery, you may experience blurry vision for the first few days or even weeks to follow. Eye diseases - Cataracts, macular degeneration, glaucoma, diabetic retinopathy, and other eye diseases can blur your vision. If you're suffering from blurry vision in Bridgeport or Stratford, come to Family Vision Center. We'll administer a detailed eye exam to uncover the cause of the distortion. Corrective lenses can compensate for refractive errors, while switching different contact lenses may resolve contact-related problems. Dry eye and computer vision can be treated with eye drops and lifestyle changes. Glaucoma and retinal diseases can be controlled through medication. The sooner we diagnose the cause of your blurry vision, the more effectively we can treat it, especially in the case of progressive eye diseases. Don't let your life become one big blur. Call Family Vision Center at (203) 377-2020 for our Stratford Location or (203) 333-2020 for our Bridgeport location to schedule an eye exam and get the treatment you need to clarify your vision and preserve your eyesight!